Watch the dance battle unfold in the video above. 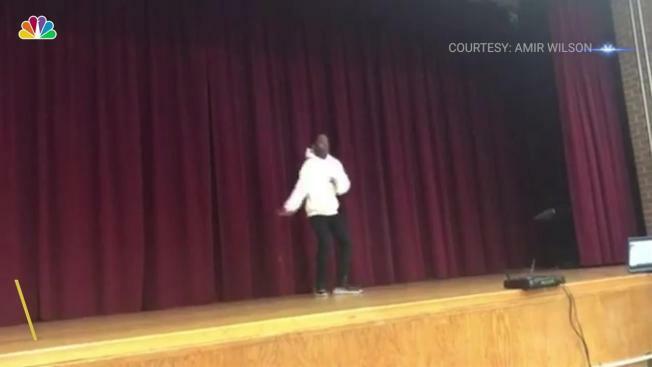 A New York teenager's epic dance battle with his teacher is going viral. Amir Wilson, 13, had a dance-off against his teacher Mr. Cohen at a talent show at Hyde Leadership Charter School in the Bronx. Cohen and Wilson were seen popping, locking and Harlem Shaking on stage to raucous applause from the watching crowd. But the audience for the teacher and his student grew even larger after Wilson posted the clip to Instagram. Within four days the video had garnered tens of thousands of views. In his post, Wilson praised Cohen, saying "battled my dance teacher at my school talent show. He killed it. It was lit." Despite giving his dance teacher some tough competition, Wilson said he believed Cohen won the battle. "I had to give it to him at the end, he bodied," he said.